The Huawei Cloud + Drive gives users 16 gigs of online storage for their files. All that's required is an account registration, which takes about a minute and you're good to go. The app gives you the option to check your disk, manage transmissions (upload and download), view recently browsed files and share files. Our Huawei Honor is a pre-release unit so we kept getting "Server busy" errors and couldn't enjoy the full functionality of the service. You can set up when you want your device to be synced, allow the Cloud to find your phone should you lose it by any chance and more. The Huawei Honor comes with a lot of propriety apps preinstalled. The usual array of organizing apps are there too so your alarm clock, calendar, calculator, etc. are all covered. The traffic manager is a pretty neat app that lets you set a monthly limit of MBs so that you won't go overboard with your mobile data usage. It also displays detailed information about Wi-Fi traffic, 2G/3G, remaining traffic and so on. 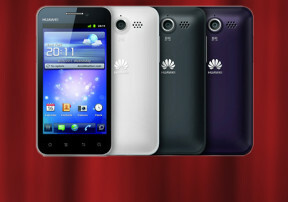 Security guard is the blacklist app of sorts for the Huawei Honor U8860. Sure, there are a lot of those around the Android Market but it's nice to have one preinstalled for you. It also gives the option to hide messaging conversations. Documents To Go is an office suite app preinstalled on the Honor. It allows viewing of Office files for free but does require a paid upgrade if you want to be able to edit docs on the go. There's also a DLNA app that lets you share multimedia content via the phone's Wi-Fi connection.